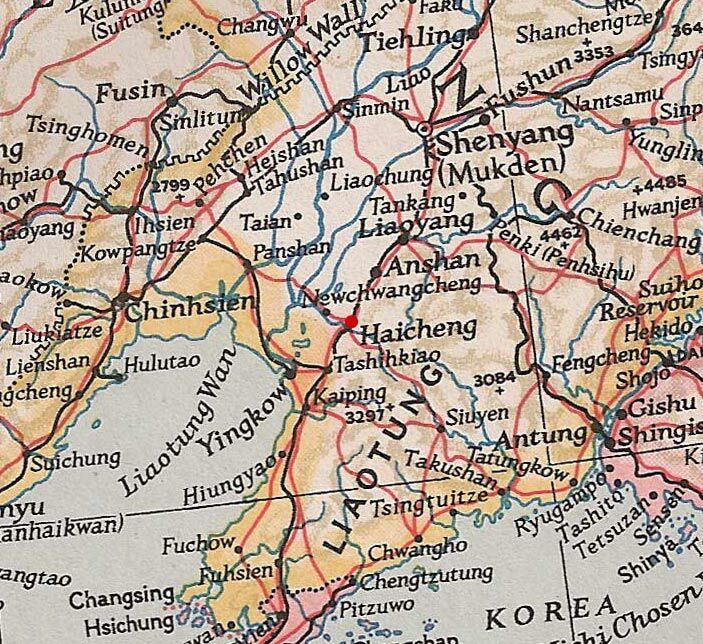 The term society is perhaps misleading, Sung Yao Chiai was a very enterprising Chinese stamp dealer based in Haicheng, Manchukuo. 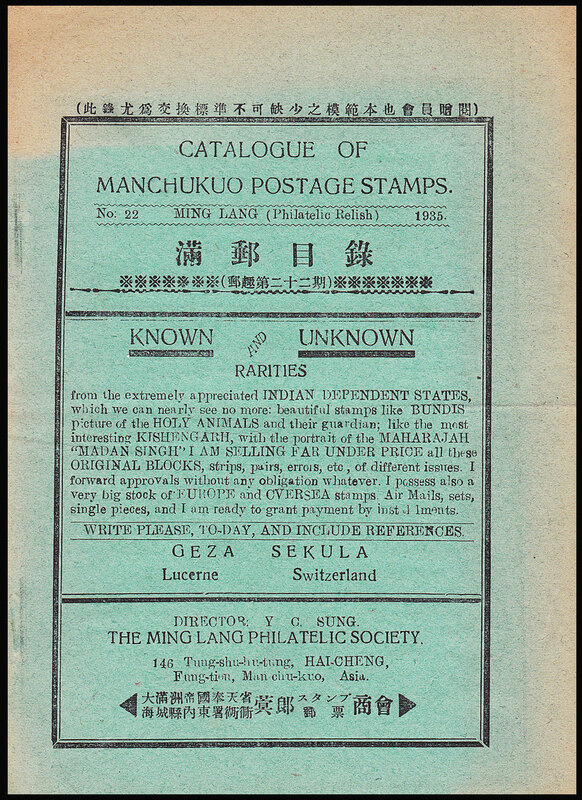 His 1935 Catalogue of stamps from Manchukuo (below) was probably the first English language catalogue devoted to this country. He is often referred to as Dr. Yung and this is also misleading because it is my theory that the Dr. is a shortening of Director and does not mean Doctor. On some covers he refers to himself as Director: Sung Yao Chiai. Like most successful dealers it is possible to find many examples of covers from him. These reflect Dr Yung's obvious flamboyance, making use of every inch of the envelope for advertising and underlining the address with his distinctive bold red squiggle. Most of these covers seem to be dated from 1933 to late 1942 when Japan entered the war. This catalogue was very complete, it gave details of the stamps and also listed special cancels and post office issued postcards. Any specialist collector would have wanted this information as it was not available from catalogues by Stanley Gibbons or Scotts. 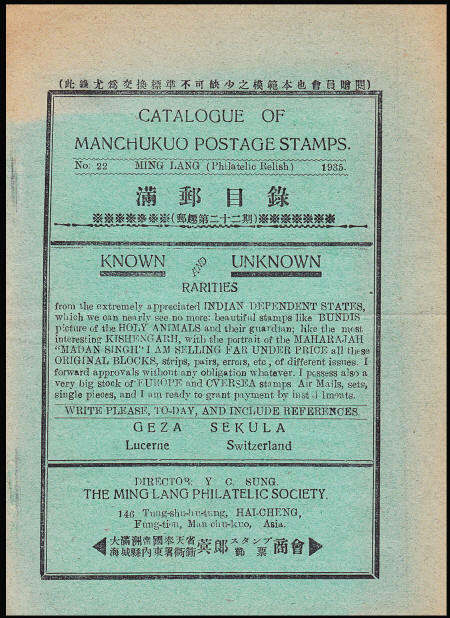 This is an early Ming Lang Philatelic Society cover dated July 1935, the flamboyant style of Dr Sung is just beginning to emerge with the bold red markings and the start of his characteristic squiggle below the address. 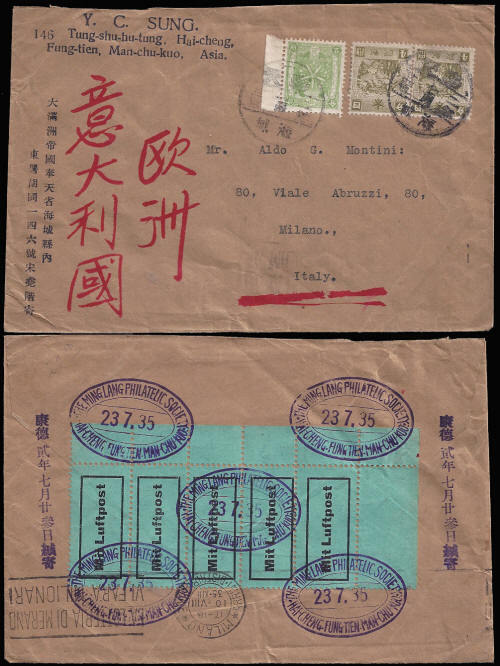 I this instance he has added some German "Mit Luftpost" (by Airmail) labels to the back of the envelope and the cancelled them using a Ming Lang Philatelic Society date-stamp. 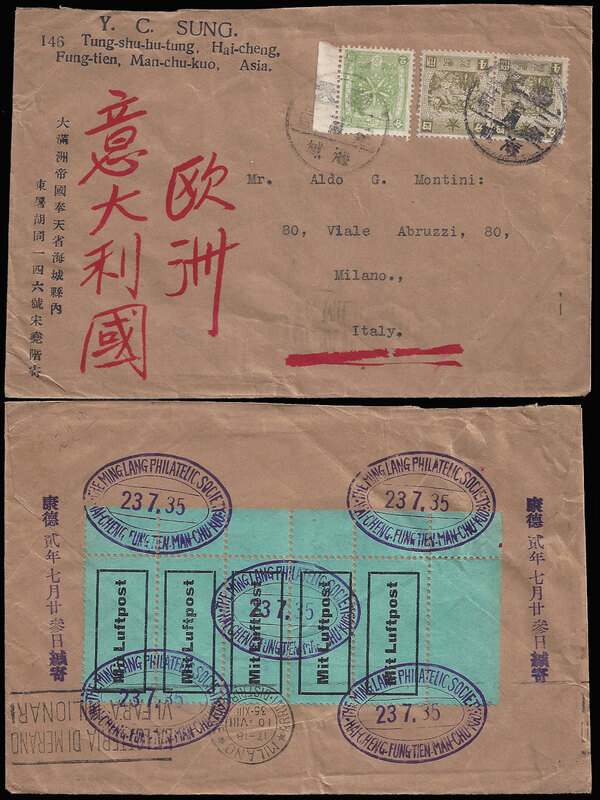 The cover would have travelled by ordinary mail to Italy as shown by the 10f of stamps used. Most later covers were sent as "Printed Matter".